We want to take time to thank the leadership, and the team itself for coming to teach and encourage our communities. You are such a blessing! Acquisition of Ministry Land for large-scale agriculture. Child sponsorship program for orphaned and very needy children. Purchase of land for Ministry offices and Masembe family home. Restock and boost ministry poultry project. I (Cyprian) was by the grace of God given the responsibility by fellow pastors in our community to co-ordinate a community prayer group. By the leading of God, we have since instituted a network of prayer warriors consisting of 30 local Churches. Every two weeks, on a Saturday morning, we spend at least six hours in prayer and fasting for our communities. The results from this prayer move are very encouraging. More and more believers have been joining us in this exciting expedition of seeking the face of God for our local communities. We are trusting in Gods will for our personal lives and for the transformation of our community. The next time you are in Uganda, you might want to take the road from Kampala to Jinja east for about 20 kilometers until you see the Ssezibwa Falls turnoff on the right. Follow the dirt track out past the Falls turnoff and pass through little villages surrounded by tobacco, corn, casava and sugar plantations. One of the many dirt tracks leading away from the main road will take you up, up into the hills where you will find the little village of Wabinyira. [Wa- BIN-year-a] The Place of the Owl. There are no more owls today, but it is still a pretty village, sitting on the top of the hill. 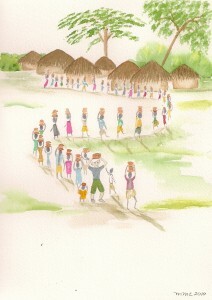 If you drive through that village, you will be greeted by hoards of children crying “Muzungu!” and waving frantically. Do wave back. They will be so disappointed if you don’t. Wabinyira wasn’t always such a happy place. No, not at all. When Silas was growing up in Wabinyira with his sisters and brother it was the Witch Doctors who ran the village, filling the people with fear lest they miss an offering or forget a ritual. The seasons, rainy and dry, were marked with solemn processions aiming to appease the various gods. If you failed to pay the Witch Doctor, your crops and cattle were doomed to failure and who knew what other horrible consequence awaited the careless worshiper. Silas grew up running all over those mountains, playing soccer, climbing trees, watching cattle and getting into trouble. When Silas was a young man he was part of a gang that would rob the trains. They would damage the rails, which would cause the trains to crash, tipping over and spilling their contents all over the hills. Silas and his friends simply “recovered” these contents, things like batteries, pipe, and other building materials. The batteries found an especially high resale market. “We had to.” She answered. “You were acting so crazy, screaming and raving, we thought you would hurt yourself, or someone else. Every time Silas would wake up tied to a tree he would scream in anger and frustration. He was at the mercy of those demons and there was nothing he could do about it! Meanwhile, in the Capital city of Kampala, Chris was a young man of seventeen, finishing high school. He lived with his mother and 7 brothers and sisters. His father had recently passed away, and his mother was ill herself. She struggled to take care of the children, one of whom had sickle cell. Every day she labored to feed the children and pay the rent. It was a very hard time for them. One day the young woman who had worked for them in more prosperous times came to visit. She saw the hopeless situation of her friends. She prayed with Chris’ mother and told her there was hope in no one else but Jesus. Chris’ mother soon began attending church and received the salvation God had purchased for her with the blood of Jesus Christ. At last she had hope. At that time Muslim extremists were terrorizing the city. One day as Chris was walking home from school with a large group of his friends, a bomb was thrown into the midst of them. It was devastating. Chris woke up in the hospital days later, bits of shrapnel all over his body. His mother came and visited him, and cried. People came from her church and prayed. But there were no doctors with the skills necessary to remove the shrapnel. Every day more of his friends died. Without surgery there was no hope that Chris would live. “Because our country has seen so much trouble these past forty years,” someone explained, “all the educated people left. Most are still afraid to come back. So now there are no doctors with the skills necessary to perform the delicate surgery that Chris requires.” Then Chris’ brother-in-law remembered a friend he had from college- who had become a doctor! Chris’ brother-in-law rented a plane and flew to Kenya and brought his friend back. The surgery lasted many hours, and was followed by another and another. Christ was in the hospital for six months. But by the time he went home he too had given his life to God. The phrase “bought with a price” has a special meaning for Chris! Of all the young men walking home from school that day, Chris was the only one to survive. He determined to live the rest of his life for the glory of God. He has never looked back. 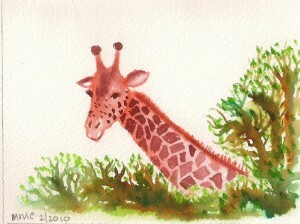 But the road to recovery was a long one, and now Chris was way behind in school. His family decided to send him to the “Wabinyira Technical Bible Institute”. The year he started was the same year a new teacher arrived. Cyprian Masembe had been an accountant in another city. After a long time of looking for work and praying, he went and spoke to the owner of the school. Cyprian determined that when the Lord gave him a job, any job, he would use it to serve Him. The Lord gave him a teaching job in Wabinyira. So, during Cyprian’s first week of school, he announced to the students and staff that he was going to hold a bible meeting. Anyone interested was welcome to come. Cyprian brought his friend Hezekiah from the city church to play the drums, and when the two of them began to sing and worship, Chris showed up! That first day it was just the three of them- but what a wonderful time they had sharing around God’s Word! It wasn’t many weeks before others came, all eager to hear about the free gift of salvation. They were hungry to hear there was a God who loved them, unconditionally. No strings, no price, no fear. Soon Cyprian’s wife Margaret joined him, and together they taught people about God, His love, His Word and how to live for Him. 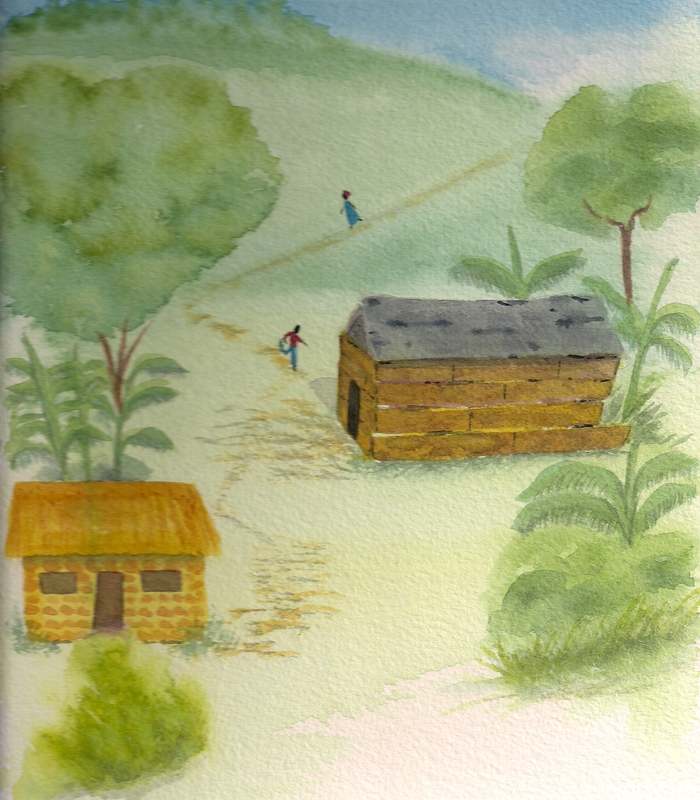 Three times a week they traveled out the dirt track, and up the steep hills to the little village of Wabinyira. And the people came to sing songs of worship, to pray to the Almighty God, and to be taught from His Word. 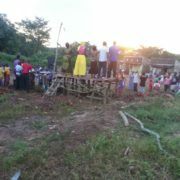 Sometimes a group of believers would come out from the city church and they would visit the different homes in the village of Wabinyira. One day it was Margaret’s turn to stay with the cars and watch them, so naughty little boys wouldn’t be tempted to vandalize them. As she was sitting there, on a stool in the shade of a tree, Silas walked up. “Hello, Silas.” she said. Everyone knew Silas. He was, after all, one of the “great train robber gang”. “We are just visiting in some of the homes.” answered Margaret. “Why? Isn’t it enough that you are here in church three times a week?” Silas scoffed. “Not everyone can come to church. And we like to visit new people. Some people don’t even know that God loves them. Can you imagine! Here God sent His only Son to die on the cross, to forgive their sins and offer them free salvation, and they don’t even know it. Isn’t that amazing?” Margaret smiled at Silas, knowing full well he needed to receive salvation himself. “May the Lord bless you Silas.” Margaret smiled and waved as Silas walked away. That evening the police arrived in the village. They were looking for the gang who robbed the trains. They were looking especially for Silas! They went from house to house. But they didn’t find Silas. It didn’t occur to them to look in the church! A notorious train robber wouldn’t go to church! Silas snickered to himself as he sat behind a very fat woman at the back of the church. He had fooled those silly policemen! But Silas was not happy. Tormented by evil spirits his life went from misery to misery. One day he determined to kill himself. He was a worthless man, his life had no purpose and when the demons took hold of him there was no telling what he would do. His life was not worth living. So, Silas went to the train tracks and decided he would lie on them, and allow the train to crush the life out of him. But as he lay there waiting for the train, he remembered the cows he had brought with him. They were grazing nearby. They might wander onto the track. Who would take them home and milk them? So Silas got up, and took the cows home. He would kill himself later. When he got home what was his shock, but to learn his brother had taken poison and tried to kill himself that very same day!! It was frightening. 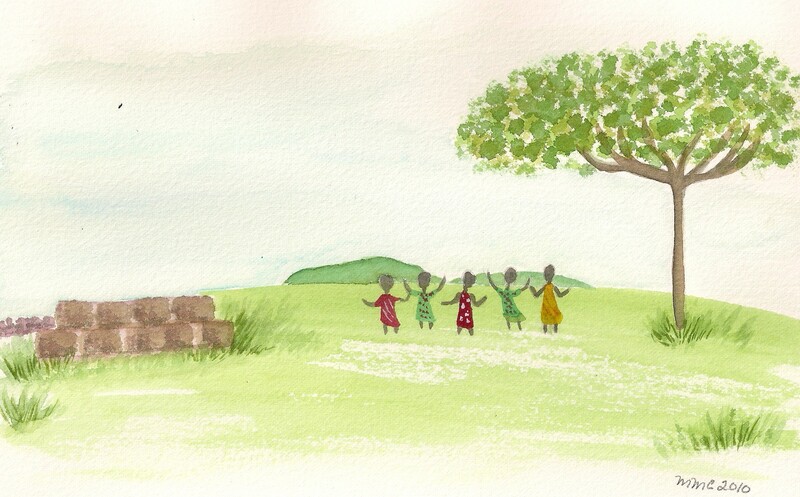 The next day as Silas was walking down the road, he heard the people singing in the church. Why were they always so happy? They were just as poor as his family. He stopped outside the door, listening. Then he went in and sat at the back. There was Chris talking to the people from the Bible. Only today it made sense. Today Silas heard the words as if they were spoken right to his heart. He heard that God love him, he heard that he could be free of fear. He heard that this God was more powerful than any demon ever was. Silas listened. He knew he needed a new life. He knew he was a bad man, at the mercy of demons and he knew he needed help. Silas talked to Chris all afternoon. When he went home he told his mother he was a new creature, saved by the grace of God. Silas’ family never had to tie him to a tree again. Silas took hold of this new life with both hands. He understood that without Jesus Christ his life was less than worthless. When he became a new creature in Christ, the demons could no longer torment him or touch him. The blood of Christ cleansed him from all sin, and protected him from the enemy’s games. Cyprian began to train Silas as well as Chris. He taught them from the Bible and gave them assignments like sharing with their families the freedom they had found in Christ. 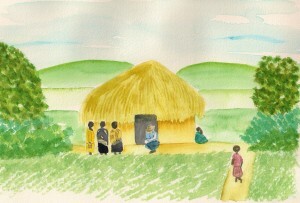 Soon Silas’ mother and sisters received salvation and joined him at the little church in Wabinyira. Silas has become an ambassador for Christ. Where he goes he speaks to people about Jesus. “Do you know my Jesus?” he asks them. When they say “no”, Silas tells them about this wonderful God, who loves us all so much He provided salvation for even such a one as Silas. He tells them how God longs to save them as well. And people listen. Silas probably leads someone to the Lord every day. Today Silas and Chris are the co-pastors of the little church in Wabinyira. The church has outgrown the rickety wooden building they have been using for years. They have dreams of building a larger place, right on the top of the hill. Today you can see the outline of the foundation. Cyprian has gone on to facilitate the starting of four more churches in rural Uganda. Each one has a team of two men faithfully serving the Lord. Each one has a story. Pray for Cyprian and Margaret as they endeavor to lead these pastors and to provide guidance and support to their ministries. Each one is more than a name. Each one is a life, a story unfolding to the glory of God. Thanks for all that you are continually doing for us, Mike Mcvay just e-mailed me about how the team just got done on presenting their Africa (Uganda) report. We are so grateful for all that you are continually doing in helping missionaries all over the world and including us in the lord’s work out here in the villages of Uganda. Back here we are busy with the work of the ministry, trying our best at making disciples, while reaching out to the lost at the same time. We are also pretty busy trying to translate some Bible study lessons covering important Biblical doctrines from English into Luganda for use by members of our Pastoral and teaching team. Our family is fine with the kids all around as they are now on the first school term holiday. Members of the team are fine for the most part. Slyvia, pastor Moses wife was hospitalized a few days ago, but was later discharged, after her condition improved. We are also faced with a need for new tires for our pick up truck, which would cost about the equivalent of 500 dollars. The van too requires to have new ball joints replace the worn out ones and some mechanical repair of about the equivalent of 150 dollars. 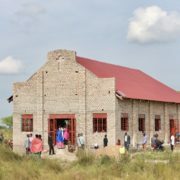 Our ministry at this time is committed to organize our Pastor and their Wives retreat and help some needy children with school fees come next term which begins about the third week of May 2010. Thank you for always being their to help us as we try to reach our communities for Christ. Send our love and greetings to the entire Church family at Hessel. Please pray for Cyprian and Margaret who recently suffered from a bout of Malaria. They are doing better now. We are also searching for a plot of land to purchase for hosing and a ministry center. 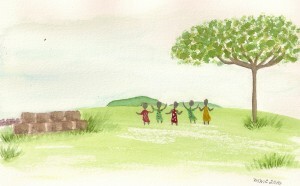 There are several good plots available and we hope we can raise the funds soon. The little village is in the midst of banana groves, with flowering trees here and there. Lots of green. We sat on living room chairs that had been brought outdoors for us. A tarp, tied with banana leaves had been stretched out to provide shade, and we looked out at all the expectant faces who had come not to see a show or be fed, but to hear God’s Word. Amazing. There they were, dressed in their brightest and best, the children even had shoes on! This was a special day for them! After Kyle and Jerry Lites had both shared, the Chairman of the village stood up to speak. He told how when they first wanted to put a church in his village he had said “Okay,” but he would be watching them. 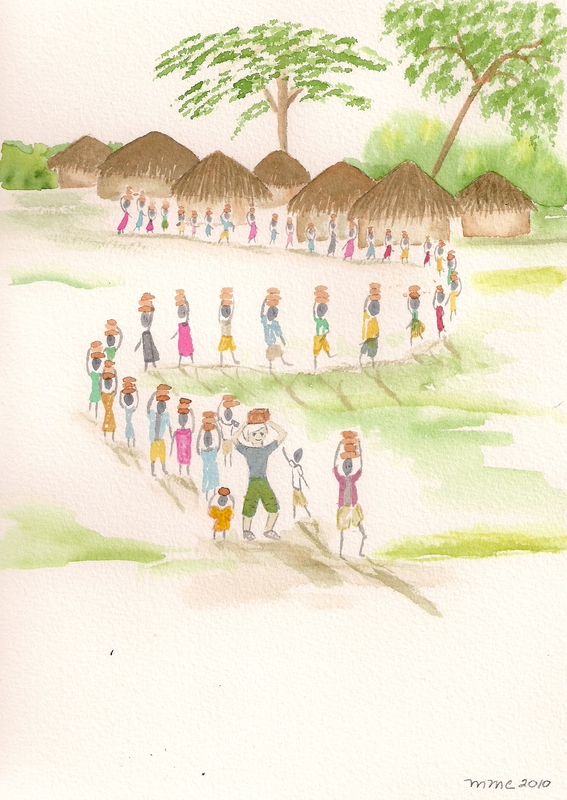 He knew a church would help him keep the bad elements in his village under control. He knew a church was good for a community. Now, after watching Pastor Sandy live and work the chairman is so impressed with Pastor Sandy’s life, his words, his actions, his attitudes, that the chairman knows “that God is with Pastor Sandy.” It was quite a testimony and I just pray that God will continue to do amazing things in the lives and hearts of all those people.